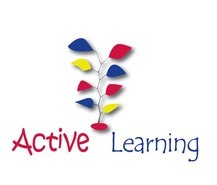 “I highly recommend�Active Learning�nurseries to all Local Mums.�My daughter has gained so much from going to�Active Learning�and really loved it. I am so very happy that I chose�Active Learning, the staff are amazing." “I recommend�Active Learning�to Local Mums.�Active Learning�is a wonderful nursery and my son has been so happy there. The teams are nothing short of fantastic and as much as we are looking forward to moving home, taking our son out of�Active Learning�is causing me some sadness. I am sure that he will miss all his friends!�Active Learning�created�such a wonderful place that has allowed my son to thrive." At�Active Learning�we believe that a healthy child is a happy child and one who has the ability to progress not just physically but in every area of their lives. We are active in every part of our daily school life.�At�Active Learning, it's all about discovery; discovery about the world and what we can do within it. Our Kingston nursery opened in 2008 and is a stunning purpose designed facility sitting in an easily accessible part of Kingston, close to the centre with plenty of parking available, and close to Kingston train station for fast trains into London Waterloo. 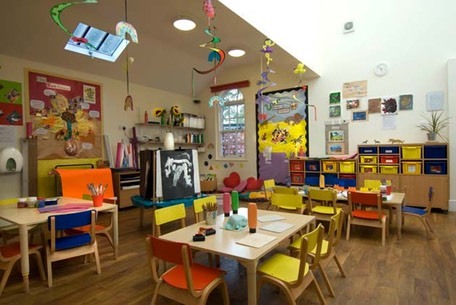 The Kingston nursery occupies a lovely building where emphasis is placed upon big windows to maximise the feeling of light and space within the building. The aim is to bring the outdoors in! We also have a large garden at the front of which great use is made. As with all of our nurseries, it is fitted with a full complement of specialist studios, Performing Arts and Music (for drama, general dance, ballet, street dance, music, yoga, and the list goes on), our fabulous fully equipped Art Studio, and Science and IT (with interactive whiteboards, individual computer terminals, pre school Science lab equipment, and more). Younger babies have their own special haven in the form of Active Senses, a soothing, mystical place full of wondrous things to look at, touch, and discover, an ever changing constant source of delight. All the children (and staff) love it – it’s a haven of relaxation. Alongside all these specialist rooms, the children also have their home rooms where they can rest, read, develop essential language, literacy and numeracy skills, do puzzles, and engage in other preschool learning activities. The nursery also benefits from separate changing and wash rooms which are ensuite to every studio or home room, separate milk kitchens for babies and a separate sleeping room for the babies with their very own cot so that they can rest undisturbed by nursery life around them. Our organic cafe and full time chef produces fabulously healthy fresh food from breakfast, lunch and afternoon tea and lots of munchies along the way. For a typical menu, please go to our Menu page. But seeing is believing and we would love you to come and visit – there is so much�more to show you!